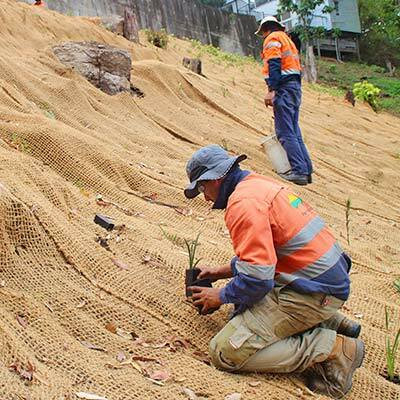 We are an environmental company that provide renewable products & services to prevent erosion and sediment pollutants run-off reaching our waterways, working with the local community, council & construction industry to ultimately protect the health of our local environment. Erosion is a natural process and has always played a major role in shaping the land which we see today. Australia’s native flora and fauna have generally adapted to tolerate a “low flow” stream speed and infrequent flooding process. 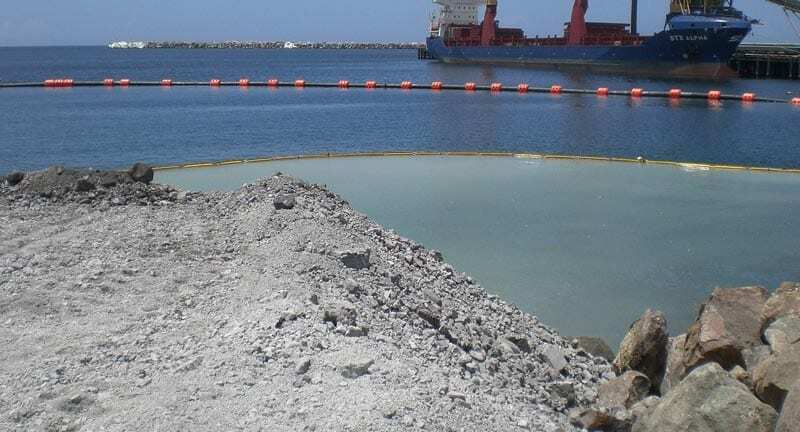 Now, with the increased levels of these erosion processes from development and our expanding population, our native flora and fauna is unable to cope with the increased volume and frequency of these erosion processes to which they are being exposed. Did you know construction, through sediment run-off is the single largest pollutant to our local waterways? Just a single building site, can lose 4 truckloads of soil in one storm event. These are the effects of soil erosion. Silt and sediment run-off are considered to be the greatest factors in the pollution of our creeks and rivers. As silt enters the streams and waterways, it settles on the aquatic plants that live there, and inhibits the photosynthesis process which is vital for the plant’s survival. These aquatic plants are often breeding grounds and the base food source in many food chains. If these weed beds are diminished, it can have serious implications on the entire food chain and general health of the river systems. Increased turbidity and suspended solids also affect biodiversity. As polluted run-off enters the streams it lowers oxygen levels, clogs fish gills, and covers and fills in important structures and habitat.The preservation and protection of our environment is paramount if we are to retain these assets in the future. 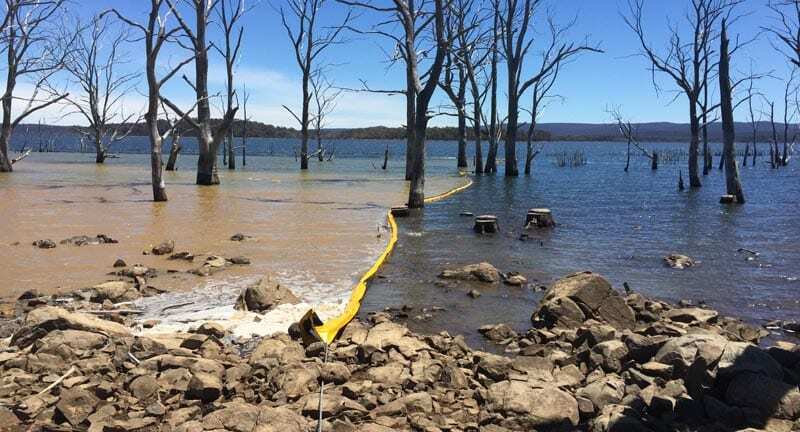 Aussie Environmental is, and will continue, to be at the forefront of these new technologies so vital in helping solve the problems that we are faced with today and into tomorrow. And we do our best to minimise the effects of soil erosion whenever possible. To minimise erosion caused by site disturbance, recognising, understanding and implementing the correct control methods. 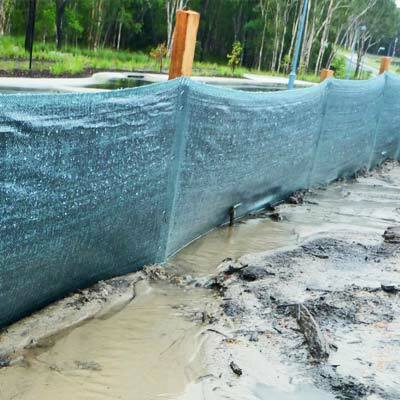 To prevent sediment and silt leaving the site. To divert uncontaminated water away from the site (clean water diversion techniques). To slow the water speed within the site, thus decreasing to possibility of erosion. To re-establish cover on exposed soil as quickly as possible by using either natural or man made products. Minimise the risks through carefull planning of your site. Limit your site exposure to erosion by staging your site works. Soil type (soil texture and chemistry). Clay has the smallest particles and so are the hardest to trap and suspend, soils with a high clay content are more likely to cause environmental harm. The amount of vegetation cover to be found on the site. Slope. The steeper and longer the slope, the greater the risk for erosion and sedimentation. Soil exposure. The greater the duration of disturbance, the greater the risk of erosion and sedimentation. Climate/season. Rainfall (intensity and duration) together with high winds can influence erosion and sedimentation. Size and location of the site. Large steep sites are often harder to manage. Type of work being done on site. Different types of construction produce various levels of erosion. Erosion is the process of active detachment or movement of soil from its original place of origin. Sedimentation is the process by where the soil is transported from its original place of origin and deposited elsewhere. 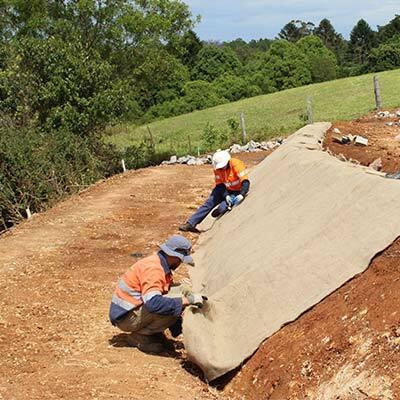 The cost associated with the planning, transport of materials, installation of those materials and the maintenance of erosion controls on site can be quite expensive. For a small housing development tens of thousands of dollars may have to be spent, which can mark the difference between winning a contract or not. If you stop to consider the possible outcomes if erosion and sedimentation management is ignored, this figure can quickly become much more. Some of those costs would include the cleaning up of streams and creeks, infringement fines from authorities, lengthy court hearings and possible jail time. 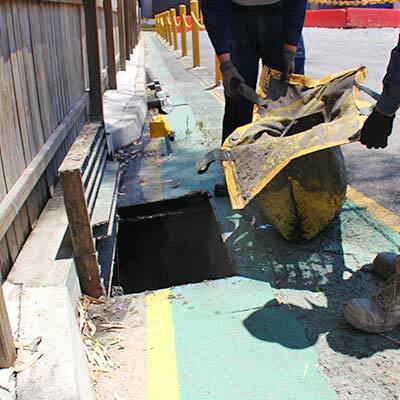 More often than not, media and the local community will become aware of a company’s inability to manage a construction site correctly, which can have serious implications for the company’s future. One can quickly see that it is clearly not good practice or business management to ignore the issues of erosion and sedimentation. Increased nutrient levels promoting toxic algal blooms. Changes to acidity and alkalinity. Increased turbidity and suspended solids. Increased water temperatures of streams and creeks by the loss of riparian vegetation. Increased stream flows due to the loss of water holding capabilities of vegetation. Decrease of animal and fish stocks (Biodiversity) due to lack of abundant food sources.